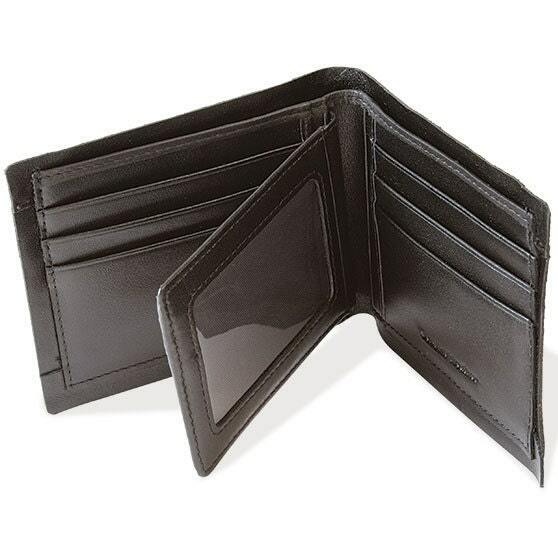 Premium leather wallet built to last! 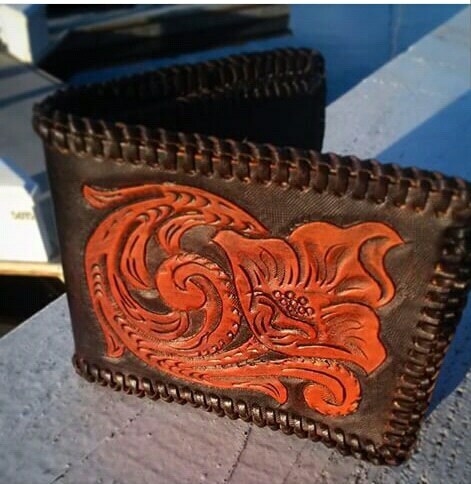 Genuine veg tan cowhide can be customized with your choice of image or pattern. Choose either stitched edge or laced edge (lace is calf skin). 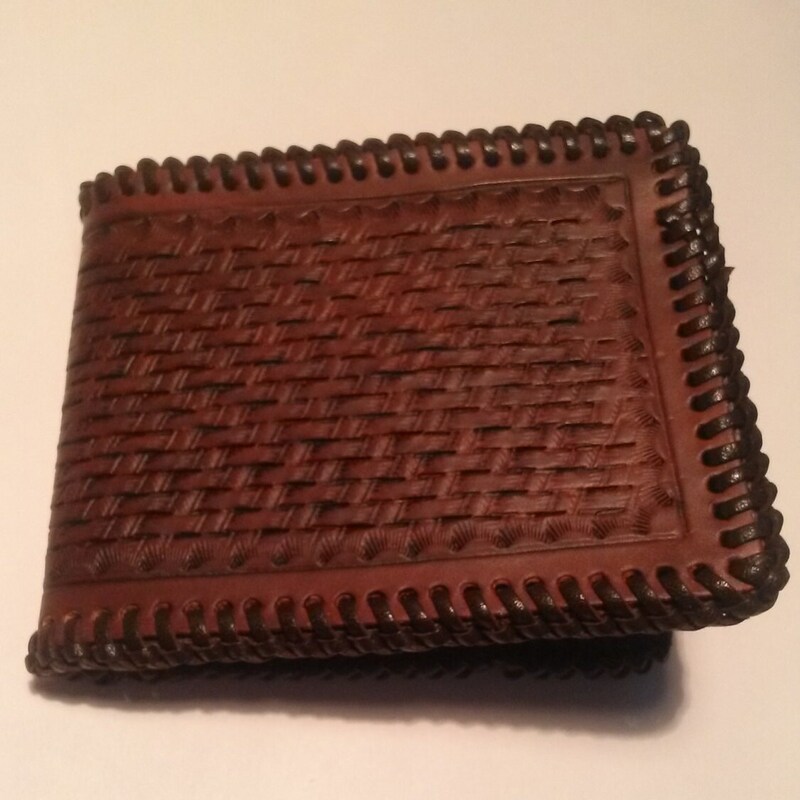 Outer is hand stitched or laced to a supple calf skin inner with heavy duty waxed nylon thread. Inside there are 2 bill pockets, 1 Identification pocket and 14 credit card pockets. Specify your color of stitching in notes- choose stitching from black, white, brown, red or blue or lace from black or brown.